The late Deputy Commissioner of Police Isikeli Ligairi had made education his top priority during his service to the force. The late DCP had his homecoming service at the Seventh-Day Adventist Church at Vuci Road, Nausori yesterday. Speaking to the FijiSun, on behalf of his family, was his cousin Jonasa Leakai, a retired Senior Superintendent of Police (SSP) Eastern. “He started his career as a bank officer and then later joined the Fiji Police Force,” Mr Leakai said. “He was also very qualified. He had a degree in journalism as well. He said that the late Mr Ligairi had been preparing for his role as a future Commissioner of Police therefore he wanted to be well-versed in an array of education fields. “All those fields he pursued would be relevant to his field of work if he ever attained the position as Commissioner of Police,” Mr Leakai said. “That’s what he really aimed for. One day while speaking to me he said he wanted to refine his skills to make him a better leader. “It is so sad to see my brother’s life end prematurely,” he added. As cousins they grew up at the village of Nadogo, Cakaudrove in Vanua Levu. Mr Leakai said Mr Ligairi had always wanted to be a Police officer. “He wanted to improve the image of the force and make it more professional,” Mr Leakai said. Mr Ligairi’s other area of focus was community policing. “He did some community policing in Ireland. In future when one thinks about Police, they will think about community policing, look after the community well and the crime rate will go down,” Mr Leakai said. He served in the Fiji Police Force for nearly 31 years. “My brother had advocated heavily on honesty and hard work and his major challenge was reducing the crime rate,” Mr Leakai said. 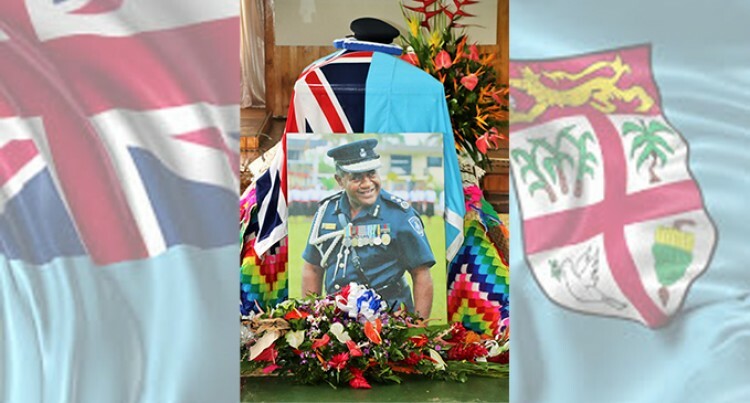 In addition, on behalf of the Fiji Police Force, the Chief Administration Officer Assistant Commissioner of Police Itendra Nair also delivered an eulogy. The late Mr Liqairi is survived by his wife and six children.